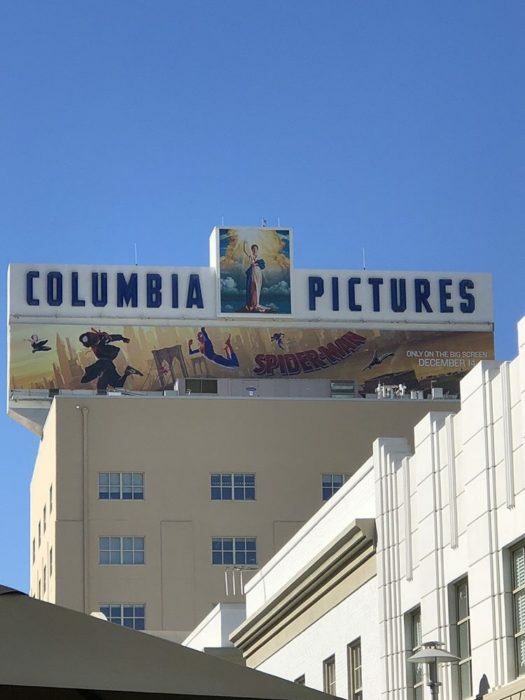 On Friday, November 2, I was one of the lucky few who got to see the inner workings of the film industry in a field trip to Sony Studios. Our group was able to tour the location and see all of its little wonders and secrets. From the small but engaging film memorabilia museum to the world-class sound recording studio that has been graced by John Williams, Beyonce, and the like, there was never a dull moment on this trip. The College and Career Center provided a great opportunity for Culver students to have a fun and informative time. There are so many aspects of film we don’t even consider as we’re watching. Every single frame had to go through hours of production. If the movie has an originally composed soundtrack, then an orchestra has to come in and record two hours worth of music. If the movie has a soundtrack with songs by other artists, then every single song has to go through months of licensing negotiations. Some of the sets used take close to a year’s worth of around-the-clock building, only to be torn down just a few months after the release of the film. Not to mention, the releasing of the film is a complicated process itself. Our trip gave an interesting insight in the aspects of distribution. Regarding movie theaters, the theaters have to pay to show the movies. Television networks have to compete in a bidding and negotiating war just to get a contract to show the films for a few years. Streaming services can have conflicting interests on the same property. All of these factors affect how the movie is viewed. They can delay the release of the film or limit where it can be distributed. All of this information and more was given to us by the kind tour guides and employees of Sony Studios. We watched a short film that taught us the history of Sony Pictures and how Culver City has been a feature in the film industry for decades. We saw where “Wheel of Fortune” is filmed, and learned about the process of filming a game show in front of a live studio audience. We also broke off into individual groups and spoke to people about their role at Sony. I was in a group that went to the Sony music department and learned about the process of licensing music. We walked past the sets of hit shows and saw crews in action, and ate lunch with workers from several different categories within the industry. We listened to their stories as they shared their experiences with us, giving us information on how they ended up on their career paths and advice for finding ours. This made the Sony trip more than just an informative experience about film, but about careers in general. It was truly a unique experience. So when the chance to go on this trip rolls back around in February, I highly suggest going taking this once in a lifetime opportunity.